Dogs are more than just pets; they’re part of the family. Camp Bow Wow’s customers know we share their obsession with man’s best friend, and that shared passion drives profits. There was a time when dogs were almost strictly outdoor animals, with a solid line between pet and family. He might have been beloved, but he had his place and ate his table scraps and generally didn’t get things like regular vet care that seem so basic now, let alone the opportunity for socialization and stimulation. Today, though, attitudes towards dogs are decidedly different. Most of us consider dogs part of our family, and that’s good news for Camp Bow Wow and the pet care industry. A Harris Poll released in July 2015 shows an increasing number of owners treat animals like family members, which correlates to higher spending for their pet’s health and happiness. Pet care is a $60 billion a year industry, and the doggy day care, boarding and grooming segment that Camp Bow Wow occupies accounts for about $6 billion of that. Finally, and most tellingly, a whopping 96% of dog owners surveyed said that yes, they do consider their dogs to be members of the family. Jordan Murray, who along with his wife, Barbara, has been a Camp Bow Wow franchise owner in the Pittsburgh, Pennsylvania area since 2005, has watched the trend evolve. It’s gratifying for the multi-unit owner to be able to provide what people are increasingly recognizing as much-needed services. Many of our Camp Bow Wow franchises foster dogs from their communities. 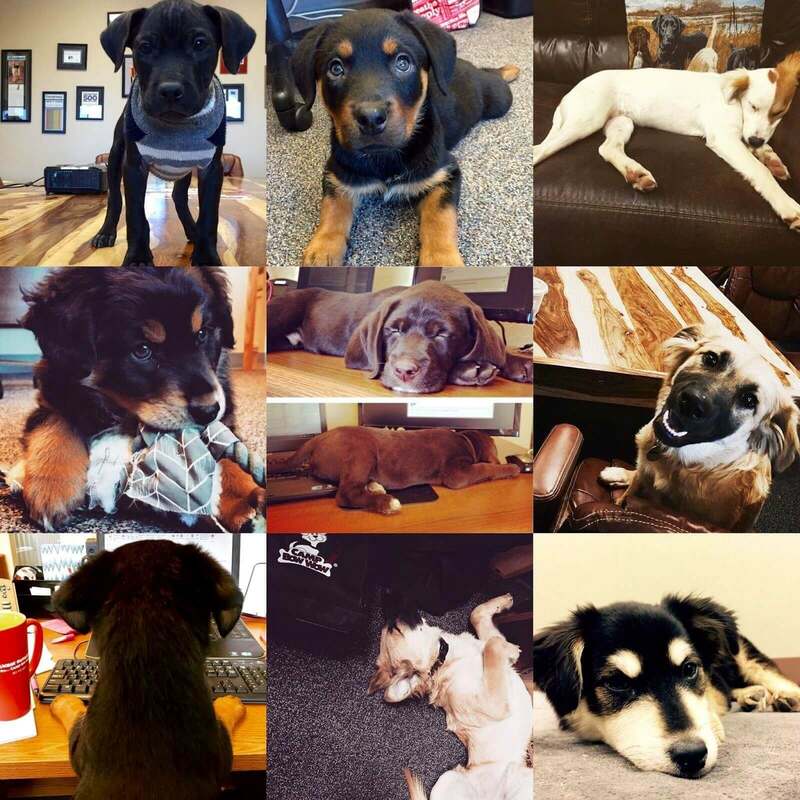 These are a few of the many dogs we’ve helped place in forever homes. “I feel so good about the level of care we provide people. They aren’t having to take their dogs and lock them up, or take them to a daycare that doesn’t do staffing levels the right way or do proper protocol and procedure. I feel like we’re helping people,” Jordan says. “The financial conversation that comes with opening the Camps is so good. The more that open, the more it becomes a household name and the more demand there is for the services we offer. Before we opened, nobody even knew what doggy day care was, and none of these dogs got to go enjoy themselves during the day,” he says. The more people understand about what dogs truly need, the more concerned they are about their dogs’ well-being. It may weigh too heavily on pet parents to leave their dog at home for 8 to10 hours a day while they’re working, or to board him in a kennel while they’re traveling. 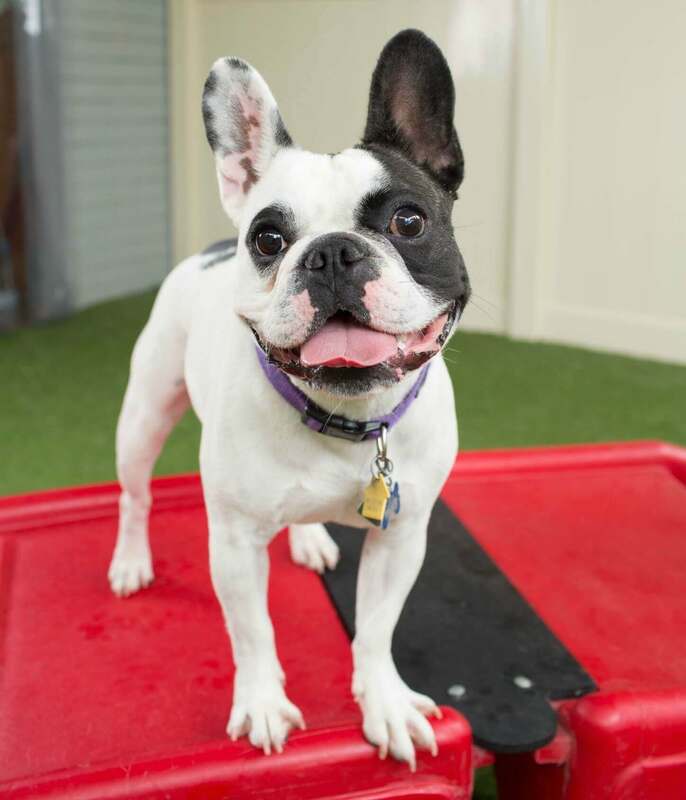 Camp Bow Wow’s premier services, which include indoor/outdoor play yards and supervised play all day, eliminates the guilt people feel when they leave their dogs behind — and the assurance that their dogs are happy perpetuates repeat customers. As this trend continues to rise, that’s better and better news for Camp Bow Wow. First of all, because we don’t just love dogs, we’re obsessed with them. We disrupted the day care and boarding industry more than a decade ago with our dog-centric model of care, and we joined forces in 2014 with VCA, which is helping us maintain our leadership position and stay ahead of the competition. VCA is the largest animal hospital network in North America. If you’d like to learn more about owning a Camp Bow Wow franchise, please fill out the form at right to download our free franchise report and start a conversation. You can also explore our research pages for the answers to many questions you may have, and to meet some of our franchise owners and corporate support team. * Figures represent averages for the 97 revenue-reporting franchises open and operating for more than 36 months during the 12-month period ending on December 31, 2015. Of all 97 franchises, 48 (49%) exceeded the average of $756,551. Of the 27 Franchises representing the top 25%, 11 (41%) exceeded the average of $1,075,667. Of the 27 Franchises representing the bottom 25%, 16 (59%) exceeded the average of $437,405. The financial performance representation contained in Item 19 of our 2016 Franchise Disclosure Document also includes (1) annual average gross ticket, (2) selected expenses for expense-reporting franchises; and (3) system-wide gross revenue.